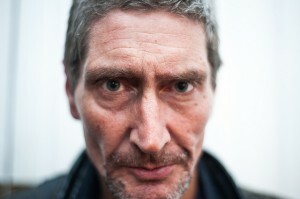 Peter Gutteridge 1961 – 2014 A really cool guy ! I never met Peter. Most of the New Zealand artists made their way over to Scotland at some point but Peter never made it to Europe or the US until his visit just a few weeks ago to New York where he played his first ever US gig. 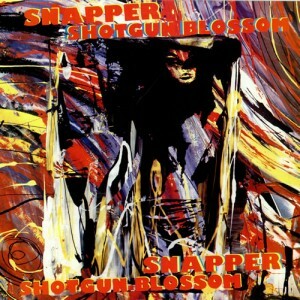 We spoke regularly of course when Avalanche put out the highly regarded debut album “Shotgun Blossom” from his band Snapper and I had in fact been in touch only recently to let him know of all the interest there was in both his old stuff and what he was doing currently. We decided to reissue the album and of course I had long lost any contract we had. With interest from labels far bigger than Avalanche I wanted to make sure the best possible job was done of the reissue but labels wanted to see a contract. I’d tracked Peter down via his friend Ian of Fishrider Records and asked on the off chance if he had his copy of the contract. Peter proceeded to produce not just the contract but all our correspondence from a drawer in his house. In a time before email and with phone calls to New Zealand not cheap I’d forgotten how much had simply been put in writing and posted. It is a small consolation that Peter had so recently been made aware just how highly thought of he was not just amongst fellow musicians and those in the music industry for whom he had always been something of an icon but more and more with a new generation of listeners. 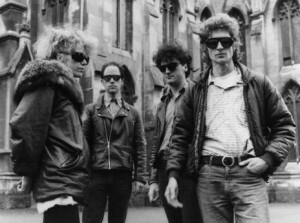 With a music pedigree second to none (The Clean, The Chills, The Great Unwashed, The Puddle and Snapper to name only some) Peter’s influence stretched well beyond New Zealand and there are any number of bands who would cite Snapper in particular as influential. I always remember Stereolab popping in the shop on their way home from a gig asking if they could get a “Shotgun Blossom” cassette for their van. How an Edinburgh record shop ended up putting out not just such an influential album but also other great New Zealand stuff from The DoubleHappys, Peter Jefferies and the Xpressway label is a story for another time. Peter and the rest of the guys in the band were always very grateful Avalanche risked what was then a considerable amount of money on a band so far away but they repaid that trust many times over and were a pleasure to deal with. I was genuinely touched that Peter had kept everything and hopefully some of it will be made available when “Shotgun Blossom” is reissued. Well thought of in its time it made number two in the indie charts kept from the top slot by a Babes In Toyland mini album. I never heard a bad word about Peter even though he was quite opinionated about others and though he was something of a recluse that didn’t mean he didn’t resurface from time to time to play with old friends. His recent trip to New York was a very pleasant surprise and I’d hoped the start of a new chapter in his career. He was clearly very talented but most of all I’ll remember him for being a really cool guy !